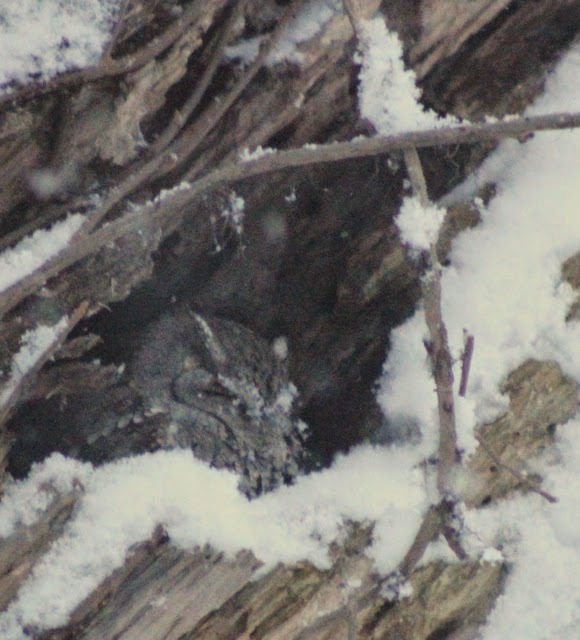 This little Screech Owl nests in a hollow willow trunk just outside my bedroom window. Last year there was a baby owl. I'm hoping for a repeat this year!